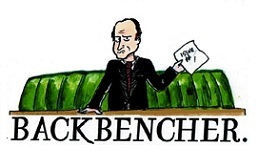 The Backbencher – Is it time to admit that UKIP are finished? Is it time to admit that UKIP are finished? In the wake of recent scandal and crises, are we witnessing the death throes of a party whose success in their primary objective, to leave the European Union, has left them purposeless and ultimately surplus to political requirements? Since Nigel Farage stepped down as UKIP leader (again) in November 2016, the party has seen the leadership pass for one reason or another to three different men. The current incumbent, Henry Bolton, is an ex army officer who has led UKIP since late September 2017. Bolton has struggled not to feature on the front pages recently, as the party was rocked by the scandal of his then girlfriend, Jo Marney, sending racist messages which included grossly offensive remarks about the future wife of Prince Harry, the American actor Meghan Markle. 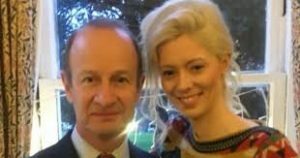 The public breakup of the couple soon followed, yet Mr Bolton was unable to placate the party with a mere distancing of himself from Ms Marney. He has faced calls from across the party to stand down, prompting another leadership crisis as his stubborn refusal has been met by a vote of no confidence from the party’s national executive committee. The result for Mr Bolton is that he is rapidly losing support from within his own party. The next step will be an emergency meeting of the party members next month, where Henry Bolton can be voted out if his opponents convince a majority of those present that his position is no longer tenable. To further add to his woe, Thanet Council, one in which UKIP has both a symbolic and real interest, has been in turmoil in recent weeks, with the leader facing calls from Bolton and many others to stand down after failing to pass a local housing plan. Mr Bolton clings to his position, claiming the party could collapse if he was ousted, and the situation has been described by some as a ‘civil war’ within the party, as Mr Bolton alleges a coup has been attempted against his leadership. For a party who last year lost its only council majority, the aforementioned Thanet, after a defection, and who have not had an MP since their only Member of Parliament, ex-Tory Douglas Carswell, resigned from the party in March 2017. Not only this, but UKIP saw its percentage of the vote at the 2017 election catastrophically drop from 12.64% in 2015, to just 1.84% two years later. Now in 2018, the party enters another year where it has very little influence on the British political scene. As negotiations over Brexit continue to run between Westminster and Brussels, UKIP has no say over proceedings. Douglas Carswell resigned from the party last year saying that the work was done, and that an exit for the UK from the European Union was “going to happen.” He resigned believing the party had served its purpose. Although it continues to be a presence in the European Parliament, its lack of MPs, declining local authority influence and steadily dropping support across the country suggest this may well be a party that has run its course. UKIP claimed a triumph in 2015, as Nigel Farage hailed a new era for the United Kingdom. What he did not realise, however, was that in the party’s greatest moment, it was sowing the seeds of its own destruction, as what was effectively a single-issue party saw its single issue resolved.